with music and dance performances by Yog Youngistan and a classical performance by Hansdhwani Music Activity. Have a wedding to go to? 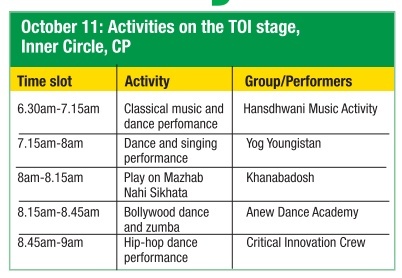 Head to the TOI stage to hone your thumkas at the Bollywood dance and zumba session by Anew Dance Academy . You can even pick up some hip-hop moves by attending the hip-hop dance performance by Critical Innovation Crew or just dance along to the dance performance by the members of the RDS Academy . 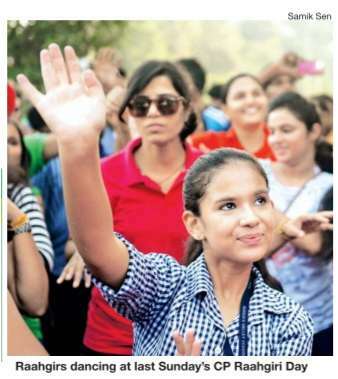 If you like checking out the young and new talent in the city, attend the band performances by Ishan Arora Band Group and Gaurav Kumar. Theatre lovers can head to the TOI stage and watch a play on Mazhab Nahi Sikhata by Khanabadosh, and those with an eye for style can check out the ramp walk in tra ditional Indian clothes by Raahgiri Walkers. 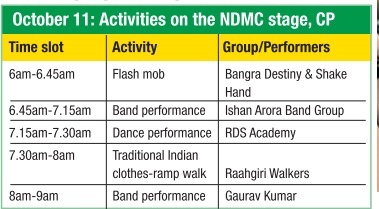 There's even a flash mob by Bhangra Destiny & Shake Hand for those who like impromptu dance steps!